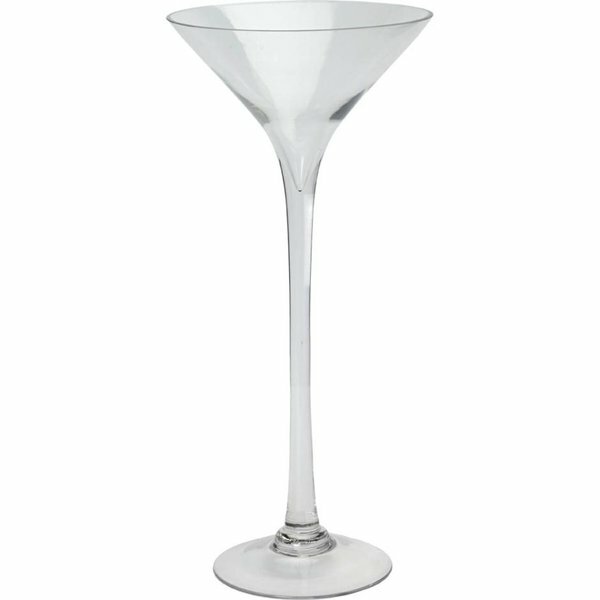 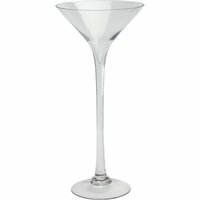 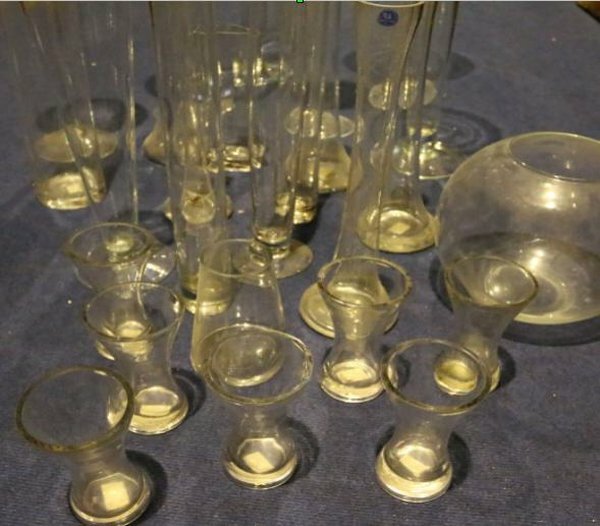 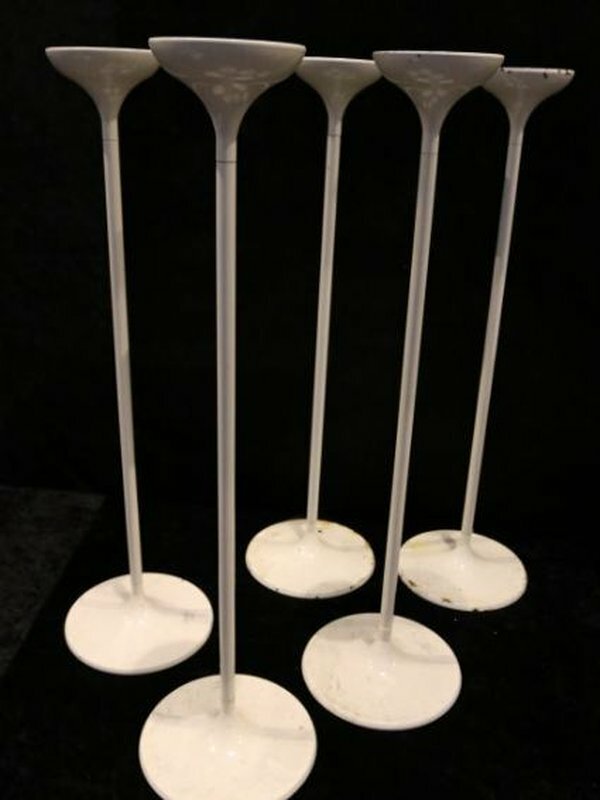 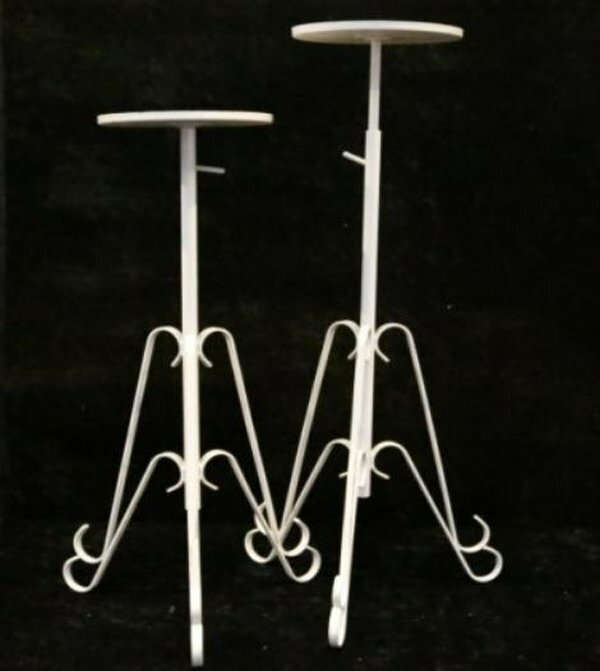 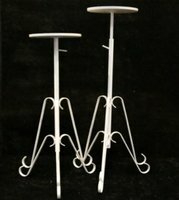 A variety of candle holders consisting of 5 medium 60cm 4 small 50cm martini glasses. 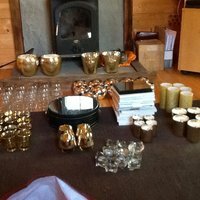 22 glass, 12 gold small, 11 silver bowl 5 medium gold and 5 gold small candle holders, variety of tea light holders, 4 large gold candles. 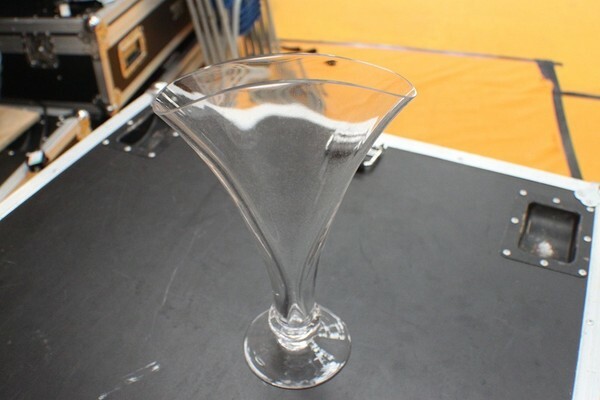 Glass has a frosted / shattered look. 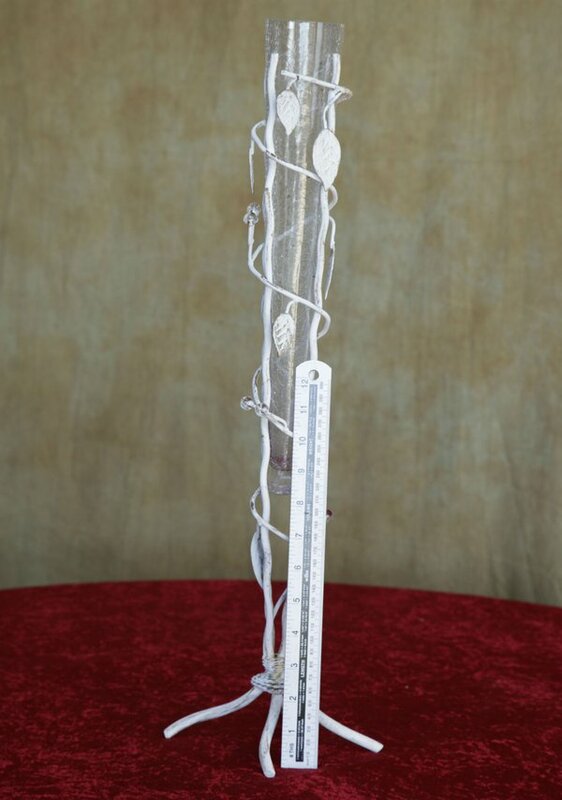 The wire has a aged lime wash look with petals. 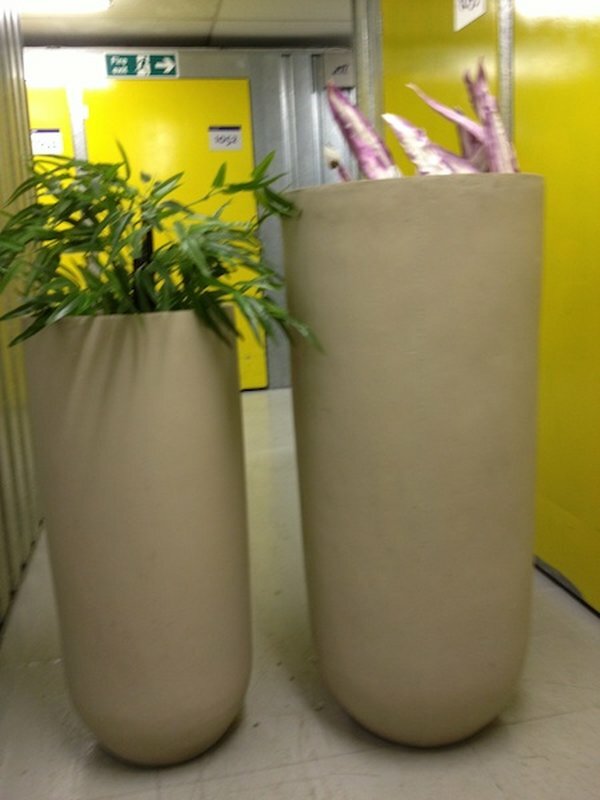 Flowers are not part of the deal. 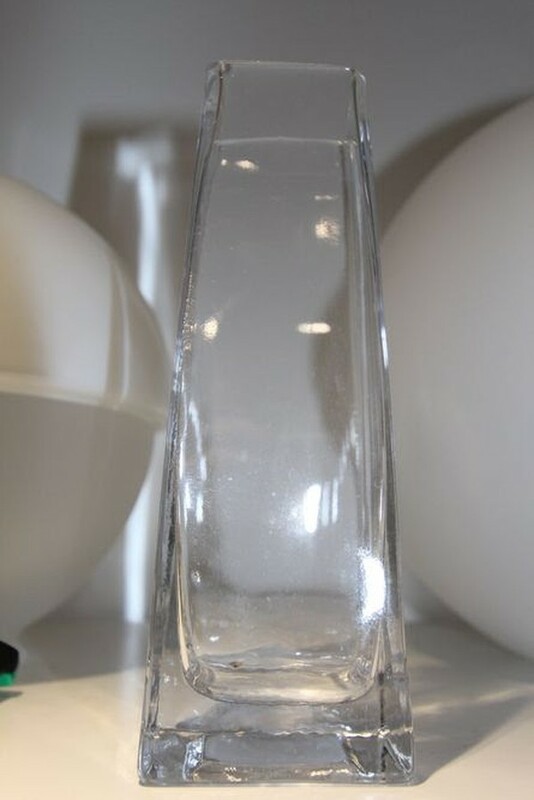 23x glass lily vase. 60cm tall. Used 2/3 times max, still in boxes. 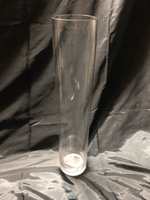 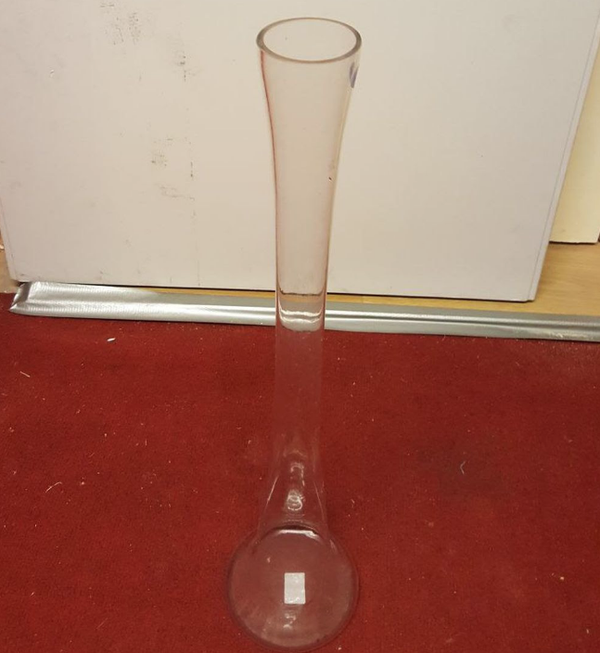 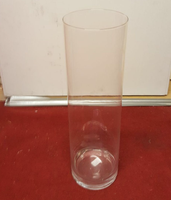 We have some brand new martini vases for sale which is very heavy and thicker than the usual martini vases available in the market. 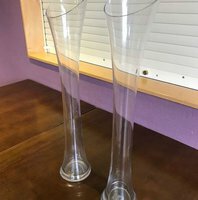 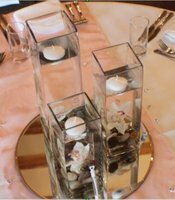 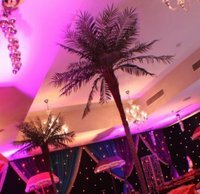 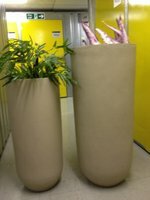 These vases are suitable for decorating the table centre pieces for wedding and other events. 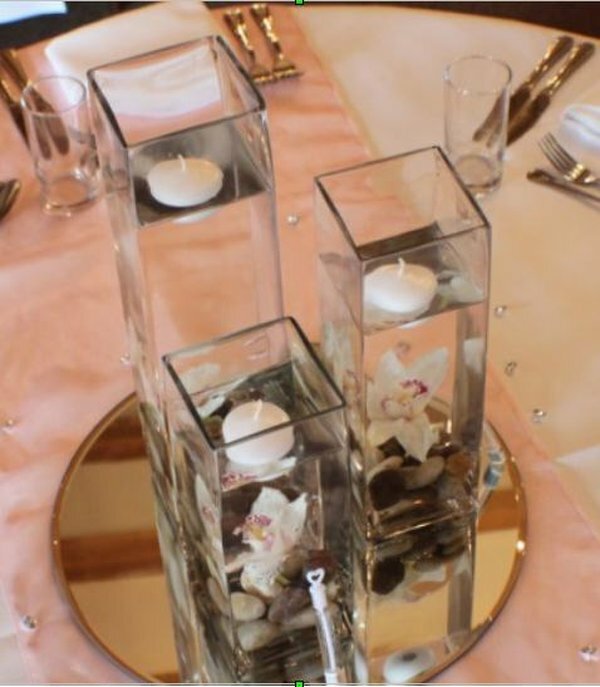 50 x 70cm Bespoke Chrome silver and Rose Gold vases finished with crystal jewels at the bottom. 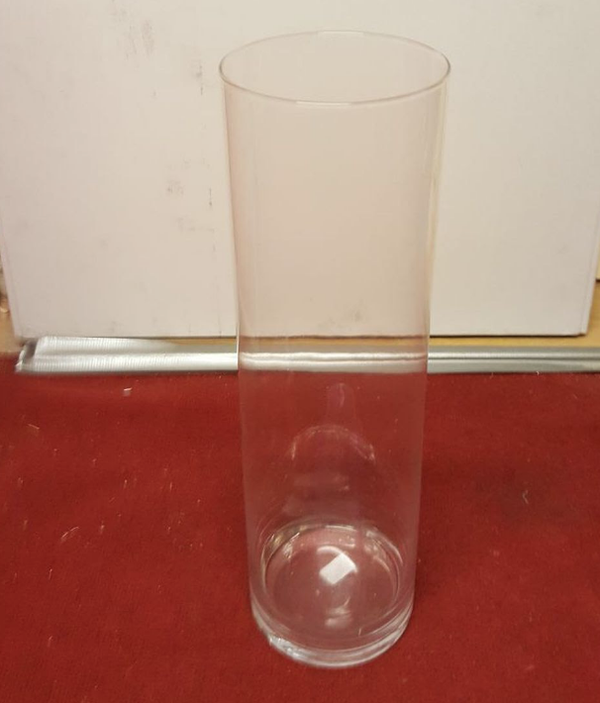 Finished to a high standard. 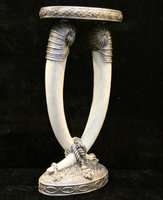 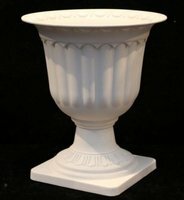 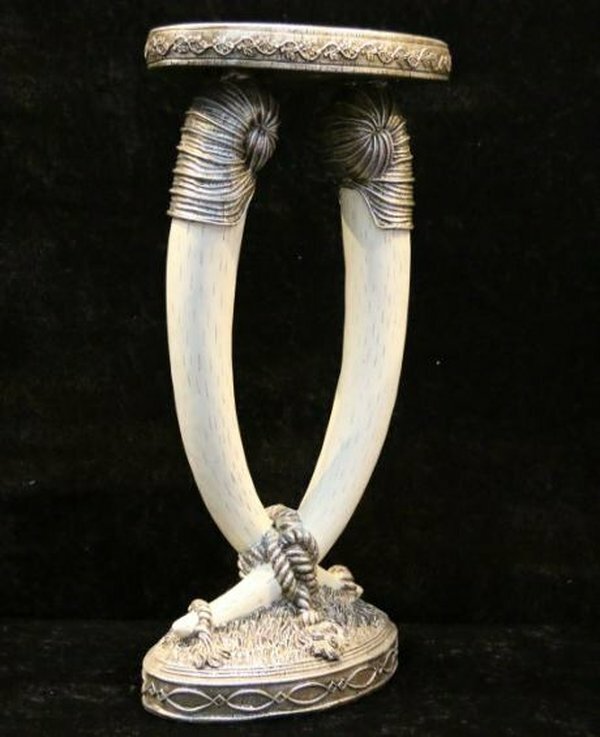 The martini vase is 50cm tall and 11 inch wide, all boxed in really good condition - 34 available. 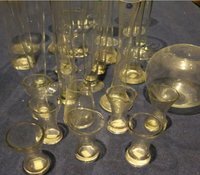 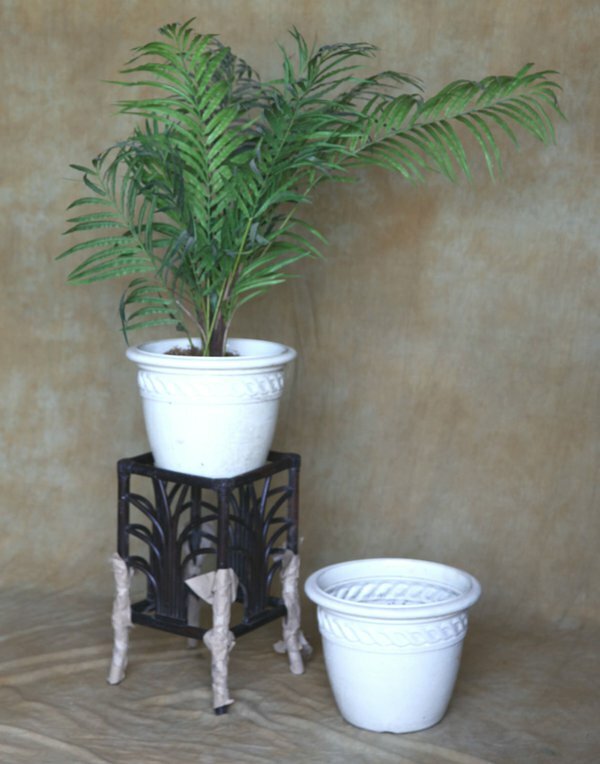 The flute vases are 30cm tall - 36 available.